Diversified Track Works is a minority-owned, railroad track construction and maintenance business that started in 2010. Our employee-owners have over 100 years combined experienced in the railroad construction and railroad rail maintenance industry. DTW's goal is to provide our customers with high quality railroad track work; delivered on schedule and at a fair price. It is the combined experience and training of our railroad builders that enables us to provide the highest level of safety, quality and value to our customers. 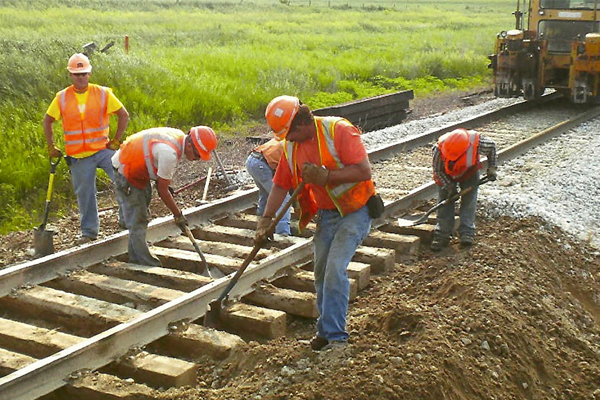 Our team will respond immediately when there is a railroad track in need of repair or inspection, keeping your business running smoothly. We are your full service railroad company; specializing in railroad turn-out modifications, railroad construction and maintenance, and railroad maintenance-of-way improvements.